A change in scenery was in store for today, as I headed up to Pinery Provincial Park. I do not get up there as often as I used to, so it was nice to check things out. I met some friends up there to do some birding, starting at Riverside Trail. The last couple of days, some Pine Grosbeaks were seen along the trail. Unfortunately we could not find any today. There will likely be more. It has been a long time since I have seen any! 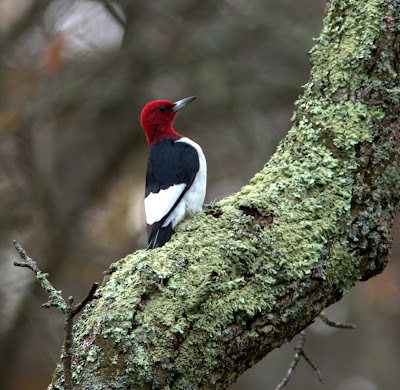 A territorial Red-headed Woodpecker was there the whole time chasing away various birds. 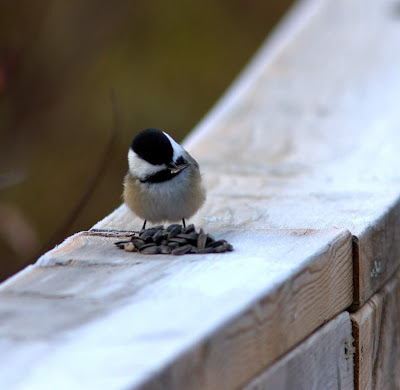 Lots of Black-capped Chickadees were throughout the park, especially at Riverside trail. They are irrupting south as well. Other finches included a single Common Redpoll, some Pine Siskins and Purple Finches on the trail. We parted ways and checked out some other areas on our own. 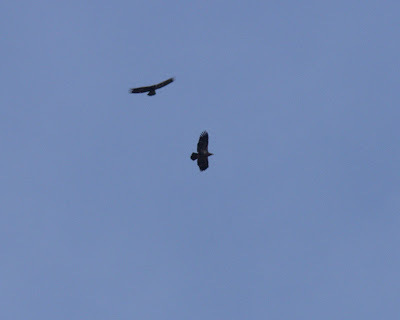 Deryl Nethercott saw a couple of Common Ravens along the river. I am fairly certain I saw a couple as well near the store. 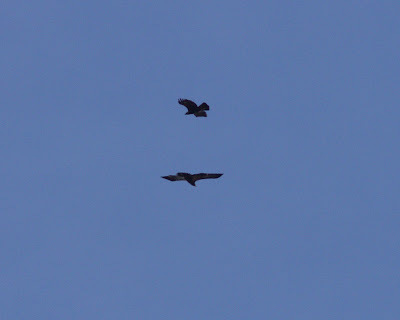 They are being seen with increasing frequency in recent times. We then decided to join Sean Jenniskens at the viewing tower on Nipissing trail. 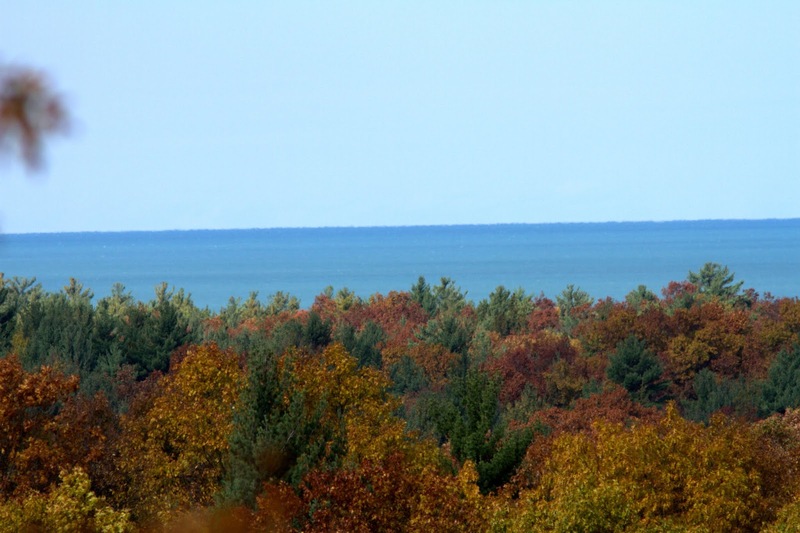 It has an excellent vantage point and good for seeing hawks. Things were slow at first, but raptors starting moving later on. We saw at least four Golden Eagles, several Bald Eagles and other hawks. 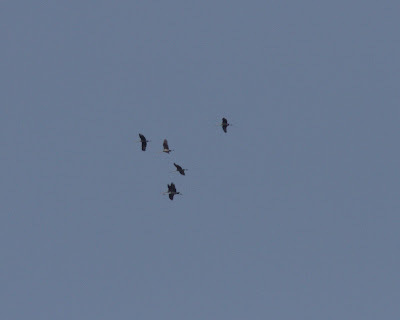 Although most were quite distant, a good selection of raptors were seen before we departed. 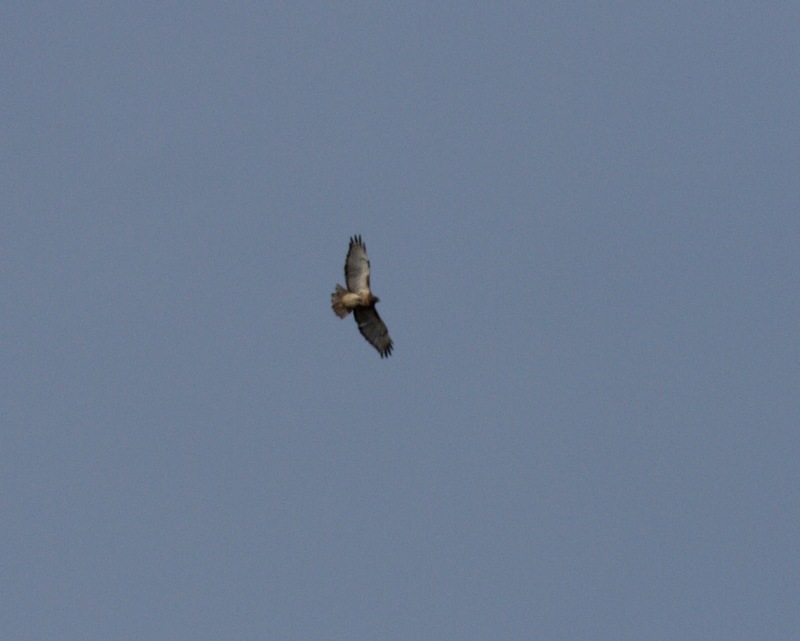 Various passerines went by as well. Some Evening Grosbeaks went by a couple of times in quick fashion. Seems these finches are motoring on through, and few are sticking around. 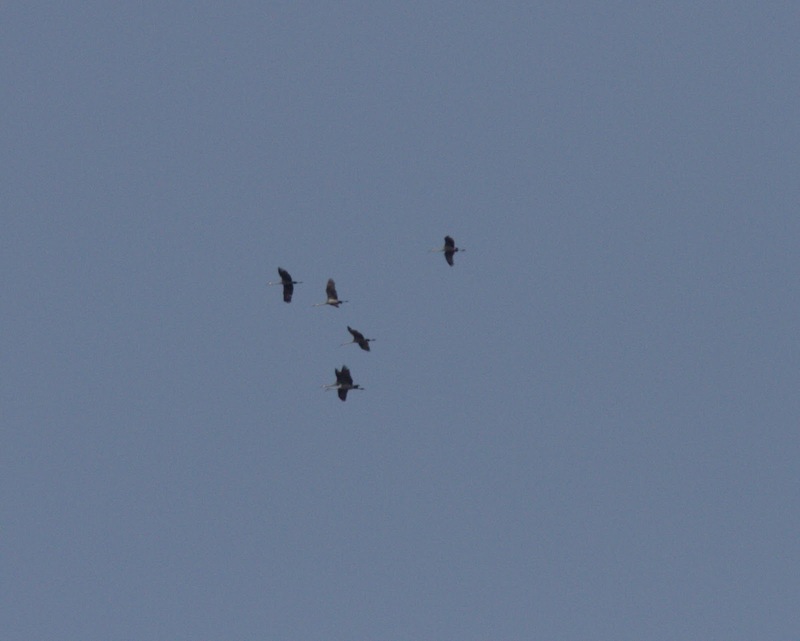 Six Sandhill Cranes were observed migrating at one point. I went back to Riverside trail just in case the Pine Grosbeaks made an appearance. However it was not to be. Still lots of time to get some! 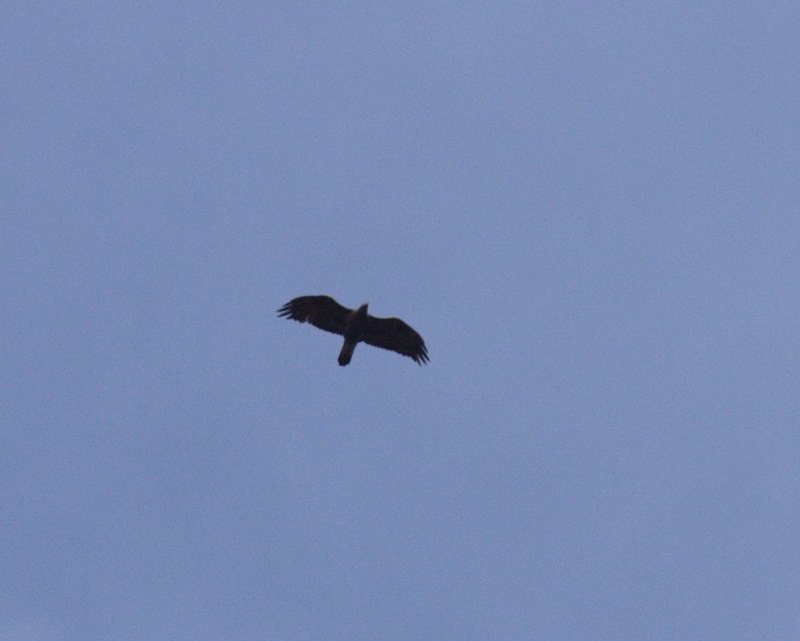 I did see an Evening Grosbeak flyover at close range as I approaced the boardwalk. I left the park and thought I would take a quick look around Ipperwash. 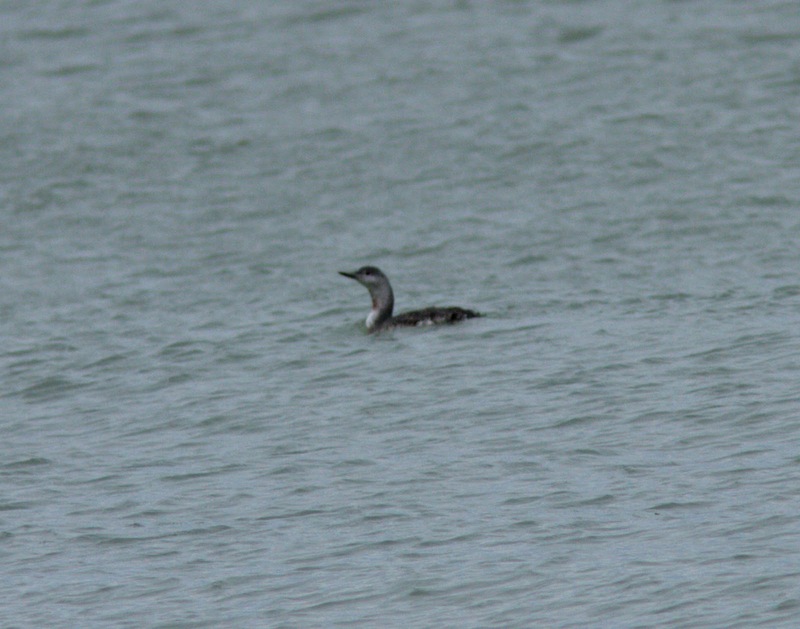 However, at Army Camp Road, I received a message that a Western Grebe had been found at Bright's Grove by local birder Matt Parsons. As this was not all that far down the road, I headed straight to the village. 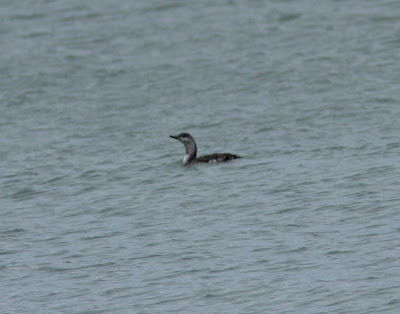 Upon arrival, several local birders were already viewing the grebe. 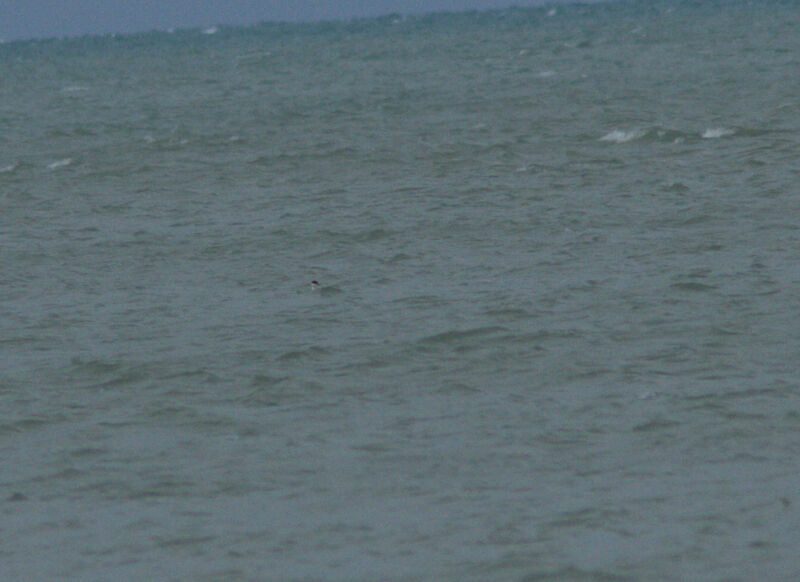 It was rather distant when I saw it. Nice to see of course, even though I found the one off Port Credit back in early April of this year. 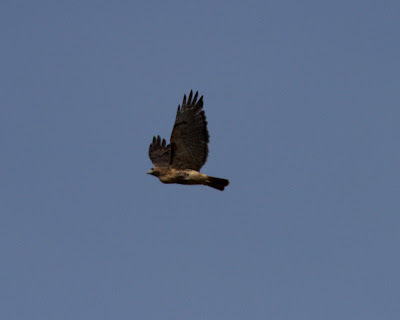 All in all, it was a decent weekend for birding and with decent weather!